This was a wonderful dish and it freezes/reheats really well – which is important to me since I cook in advance and save for my lunches. I don’t think it was too spicy (although I do love spicy food so maybe my taste is off). 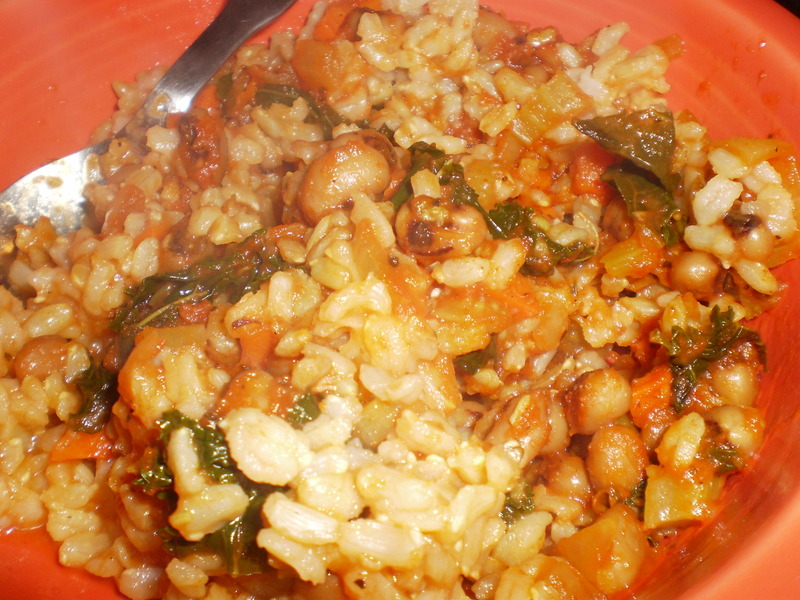 It was a very quick recipe too, using kale & black eyed peas – very good dish. I served mine over brown rice, you could also use noodles or even a pita/tortilla -very versatile.